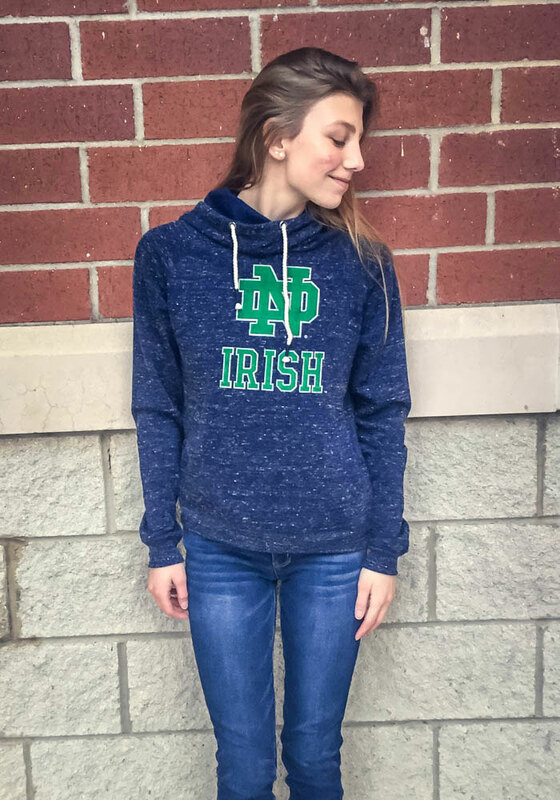 Wear your Fighting Irish spirit with pride in this Notre Dame Fighting Irish Long Sleeve Hoodie! Fight off the chill in this Fighting Irish Womens Navy Blue I'll Go With Hooded Sweatshirt. 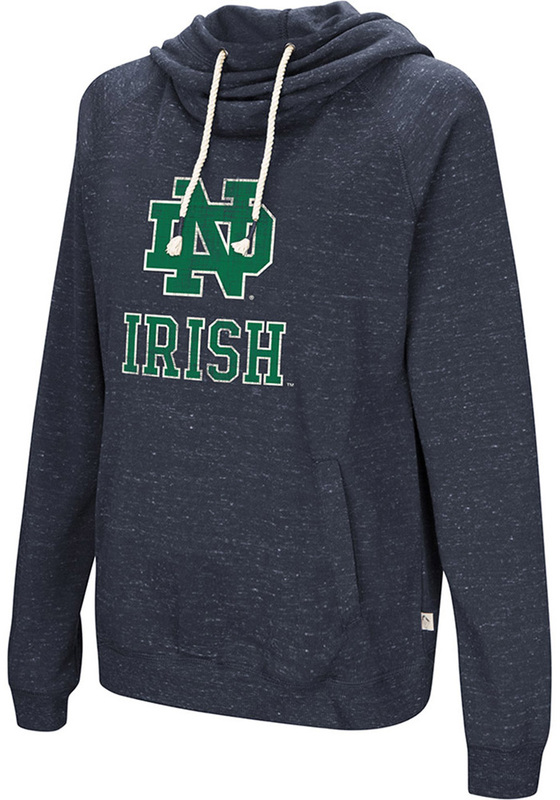 This Fighting Irish Long Sleeve Hoodie features a distressed washed out team graphic on center front.